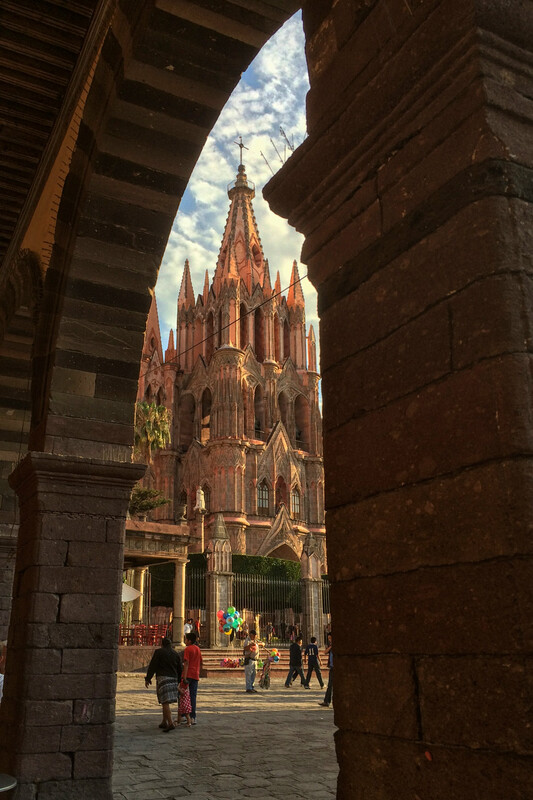 When we started faintly planning for our romp through Mexico, San Miguel de Allende was near the top of our must-see list. It had everything we were looking for: a small and colorful colonial city up in the Bajio mountains, a welcome refuge after the heat of a coastal stay, and San Miguel gets rave reviews from most everyone we know, including some Mexican friends. But then we heard several people also speak fondly of Guanajuato and we changed our minds. Only an hour away from San Miguel, the immediate draw to the state capital city was due to reports of less tourists and expats and the ability to immerse ourselves in a truly Mexican city. It was definitely all of that and more, and we were happy to spend a month there. But being so close to San Miguel, we decided to make a quick trip there to see if we had made the right choice. First impressions had us second-guessing our decision. San Miguel gets rave reviews from most everyone we know, including some Mexican friends. 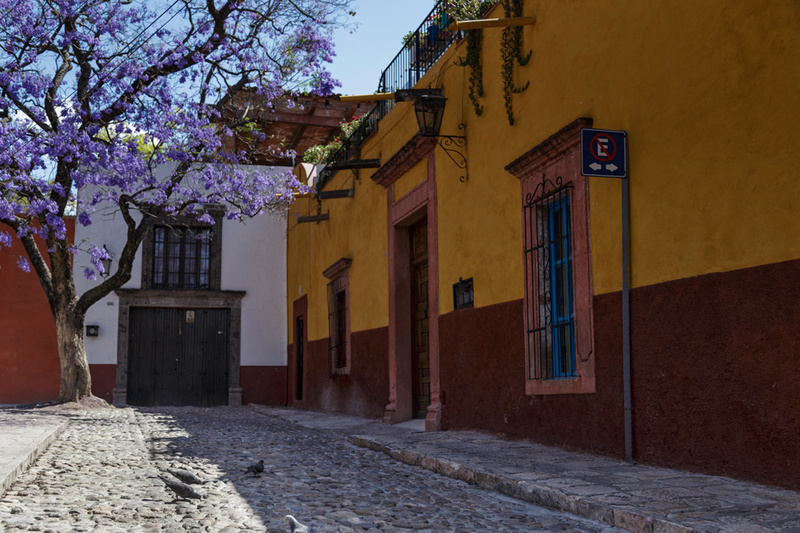 San Miguel is a smaller and less congested city, and the variety of architecture and colors across the historic center are truly captivating. In a way, we were also happy to briefly be in a place with better tourist infrastructure – we didn’t need to rely on our terribly broken Spanish which made attractions more accessible. I think on arrival I expected to not like it much at all, being fiercely protective of my love for Guanajuato. But there was little I could find to pick on – we enjoyed a variety of delicious food and found our endless bouts of wandering to be equally seductive as in Guanajuato. San Miguel carried the same evening electricity where the locals poured into the streets to gather, perform, or just sit back and enjoy. There were more gringos mixed into the crowd to be sure, but they never distracted from being an authentic experience. It was, on a whole, thoroughly pleasurable. But as we boarded the bus to head back to Guanajuato and reflected on our stay, we realized that we were happy to be returning. 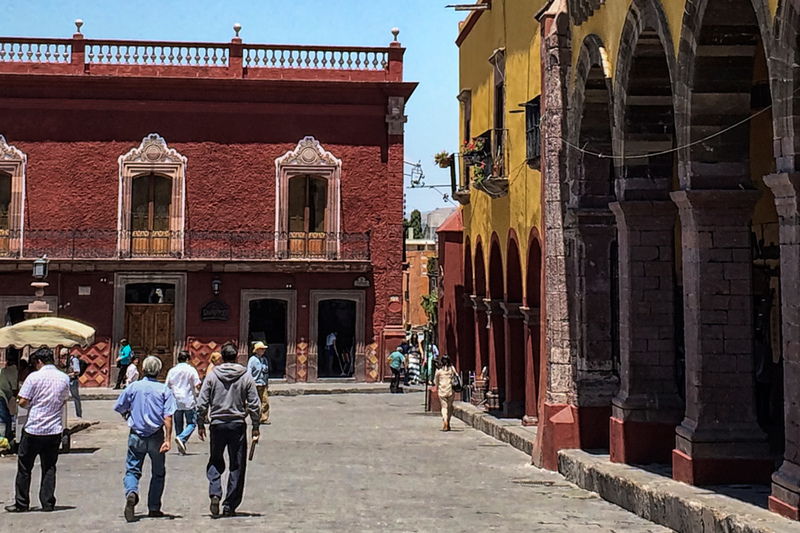 In a word, San Miguel was just too polished, a little too built for the tourist. Nice for a visit, but for a longer stay, we felt more at home in Guanajuato. We had made the right choice for us. There are a lot of options in San Miguel from luxury hotels to grungy hostels and we settled on a private room in La Catrina Hostel, on the edge of the historic center. It was spotless, well located, and the staff were very pleasant and helpful. The bed wasn’t the most comfortable, plus the noise carried easily down our hallway, but overall it was a decent stay. If you’re looking for a quaint place in San Miguel for a month, try Tres Casitas. Four little apartments in the center of town, designed by artist Nanci Closson. Best of all, the price is right! Sounds great – will look into it – thanks! How’s your Spanish? One thing to consider is that there is very little English in Guanajuato, making things a little more difficult. Hello, I’m planning to come to GTO and SMA this summer to visit a friend, last year he had a rental car so we drove from gto to sma, this year he will not. Flying into Leon/gto is there a service or transport to get to sma? And then from sma to gto? Hi Mark – I’ve never flown into the airport there (always came via Mexico City), but I am sure there must be transport. And there are plenty of buses that also run in between GTO and SMA daily (it’s only an hour drive). We felt the same as you about Guanajuato and SMA. It was a nice place to visit (as was Leon), but we’re definitely glad we stayed in Guanajuato. I am aching for some El Pastor. Damn you Mexico, and your seductive food. I definitely know what you mean! Some cities are way more liveable than others and suited for slower travel rather than a day trip or weekend getaway. Lovely pictures, as always! Thanks for sharing. We’re on the other side of the fence. We have stayed in both San Miguel and Guanajuato (SMA for a week on two separate occasions, and Guanajuato for two nights at the end of our first week in SMA). We instantly loved SMA from the minute I started researching it, and we continue to love everything about it, even after continued research and two stays – so much so that we have decided to retire there this year. 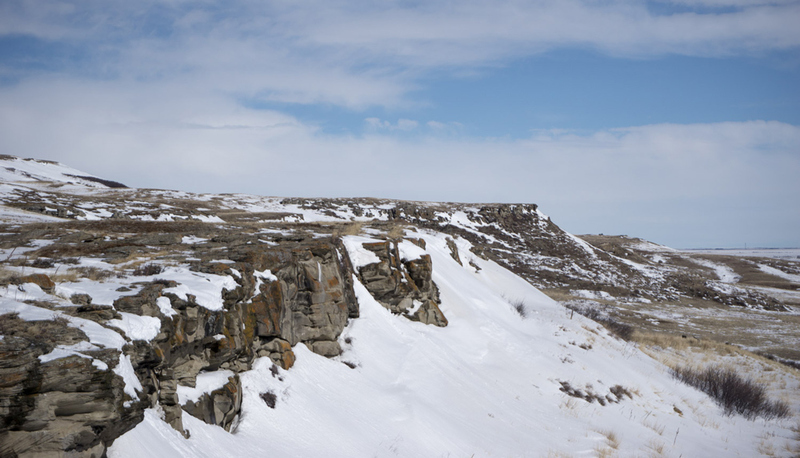 It is a very beautiful, welcoming small city and very easy to navigate. There is a very comfortable feeling one gets in SMA. It is easy to picture making a new life there even though we don’t speak Spanish yet. 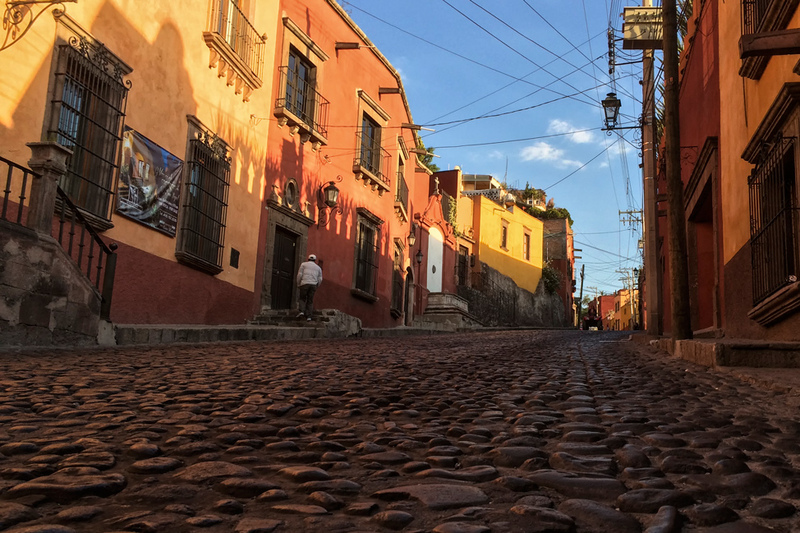 We visited Guanajuato for two days and found it a beautiful, fascinating city. We bumped into a few expats and spent some time with them and got the impression that they were there instead of SMA because they preferred not to have the company of other expats – not a particularly welcoming feeling. It is also a larger, busier city and didn’t have the intimate feeling that we found in SMA. Thanks for your POV, having stayed in both places! They do each have their merits, for sure. 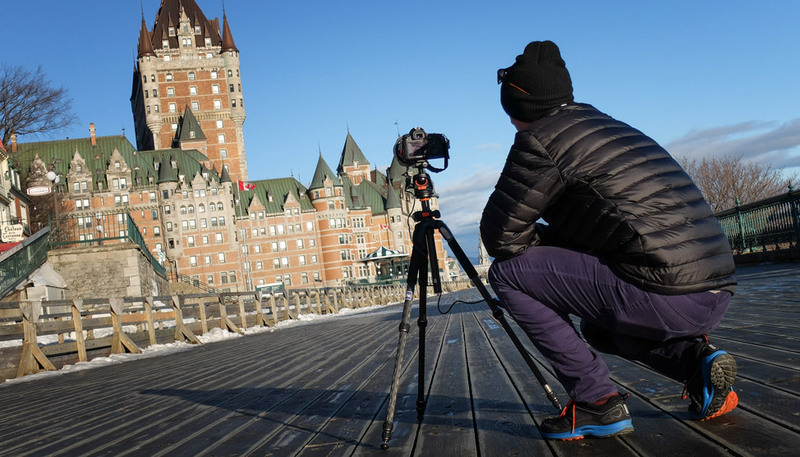 I’ve found something similar—the picture-perfect places are great for, well, pictures, but they rarely sink their claws into me and I generally find myself a bit bored by them, like there’s nothing much beneath the surface. They are perfect for day trips or a long weekend, though! I too thought of heading to the mountains of MX upon my exodus from 3 years in Asia, but am convinced that SMdA is (sadly) a bit too “expatty” for my cup of tea. 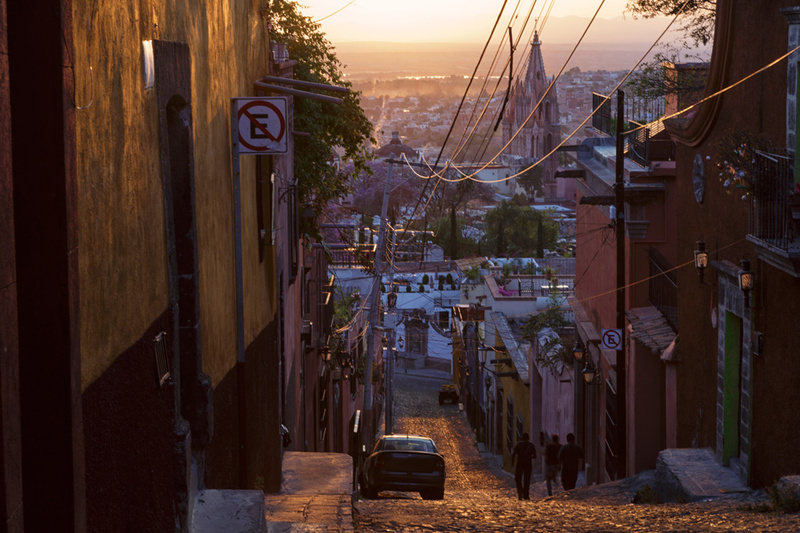 Rather, one of the smaller locales nearby (like Guanajuato) would likely suit me far better. For me, personally it gets old (actually, a good bit annoying) swiftly, and such is NOT the reason I choose to live in foreign lands. I actually was 85% sure I’d not like Cuenca, when I landed here in Ecuador 3 months ago. As it too, has the infamous “darling” reputation, I figured I’d have to head to smaller towns like Loja or Cotacatchi to find the cultural authenticity that I seek. But (relative to Chiang Mai, and perhaps SMdA) the ratio of expats/tourists to locals here is (happily) significantly lower, with just the right amount of Western infrastructure, and my Spanish is expanding by leaps and bounds. In short, I do believe I’ve found my new “home”, and am presently applying for permanent residency here in Ecuador! Interesting! We’ve been to Cuenca, over four years ago now, would love to return and see how much it has changed. And not surprised that Ecuador has got it’s grips on you! We spent four months there and adored it. Gorgeous photos! Unfortunately our travels through Mexico have not yet led us to this area but SMA and Guanajuato are definitely on our list. We do however understand what your saying as we have recently found a similar situation. We are currently house sitting in Jocotepec, a small traditional Mexican town on Lake Chapala with absolutely no tourists and only a handful of ex-pats. On the other hand Ajijic which is only 30 min down the lake has a huge community of ex-pats and therefore a bigger selection of restaurants and activities etc. Ajijic is definitely prettier and we like it very much but Jocotepec has its own charm as it is truly Mexican and therefore has more character and authenticity. Luckily for us it’s a cheap and short bus ride between the two! I like both equally, but seeing as friends and I picked up from D.F. to SMA for the weekend, I’m glad we got to see SMA more slowly, to drink in the feel of the town, to see both expats and residents in the city. I did not expect to see a lot of Canadians here, but if I had read about SMA before-hand, I’d have known. In a way, it’s a good thing I *didn’t* and went into the weekend with little prior knowledge, relying only on my friends’ enthusiasm. They were right. Thanks for writing about SMA! We’re doing the opposite, we’re living in San Miguel for 3 months, housesitting. We’ve only been here week but I’m really enjoying it. I’m really looking forward to visiting Guanajuato. Who knows we may end up staying there for a while after this. Glad you are enjoying it Kellie! Do make a trip to Guanajuato after! I am sure you will like it as well. I didn’t visit that part of Mexico unfortunately but I will make sure to add them both to my already long list of places to visit when I go back. So much to love in that country! I have yet to explorer either but from your pictures San Miguel looks super charming! Love the cobble stone streets. Great post. San Miguel looks very pretty in a way I did not expect it to be. Wow, amazing architecture! 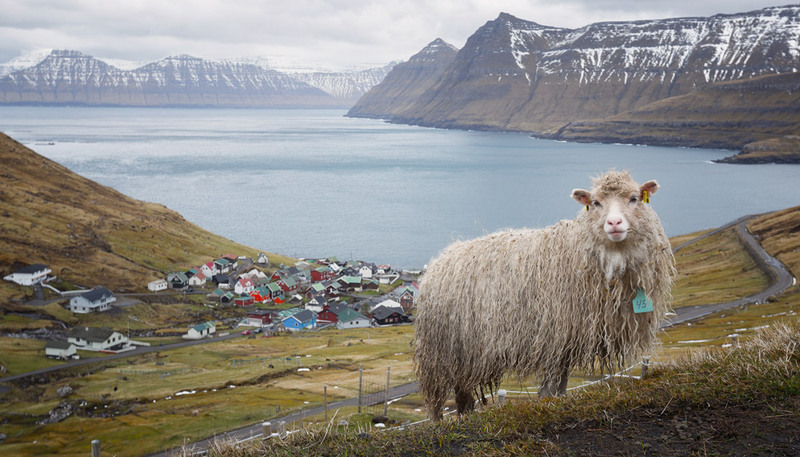 I feel like I could wander for hours around that town taking hundreds of photos! The cobble stone streets…my favorite. Gorgeous architecture and colors. Love the warm feeling of the city. 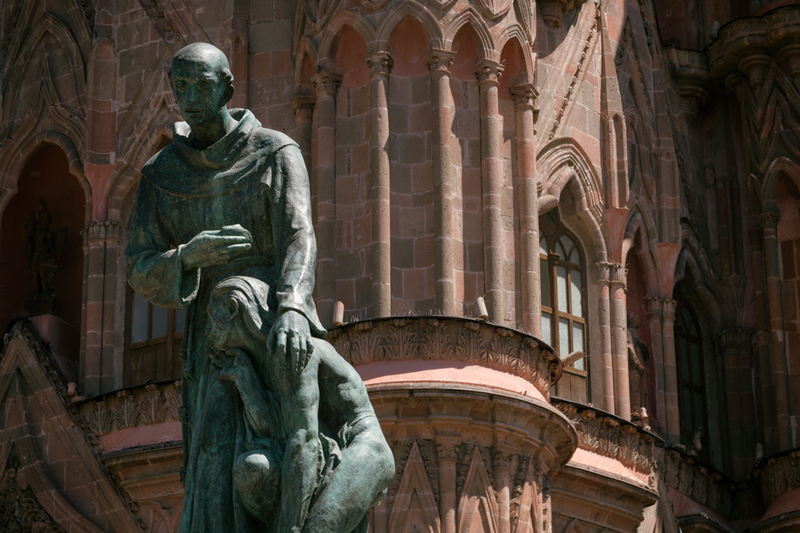 Thinking about living in San Miguel? What if you knew the answers to the questions you have to ask? What about crime, health care, housing? What about cost of living and nearly 20 other issues? My new book shines a light on the subject. It’s called Living in San Miguel: The Heart of the Matter, and there’s a sample on my website or on Amazon. I just wrote a long comment and then when I learned that I had to enter http//: in front of my email, my entry went away. Too tired to reconstruct let me just say that it is absolutely appaling to read the moronic comments of those arrogant, self-centered, ignorant, self-righteous unfellow Americans who slime and slime around Mexico– Como no Otro–(of course without a word of Spanish they won’t even understand that slogan)–looking for that “all-Mexican community when it is right here in the Western, if not international Shangri-La of artsy, craftsy, bookish, musical, lecture, cinema, hot mineral spring, eternal spring, historic colonial San Miguel. But thank God, except for a very few occasions that prove the proverbial rule, I’ve never seen anyone screaming at a merchandise vendor in the huge market or in the stores or on the streets like the ones the self-styled author has described elsewhere in this SMA website in order to sell more of his egregiously incorrect and immoral books. No, in my 20 years here, even without my excellent Spanish, I interact daily with everyone from the shoeshine men in the Jardin to the tradespeople and the professionals; and other than from the aches and pains of my ever advancing old bones (83) I’ve not only never had a bad day for any reason but those two decades have been and are the greatest treasure of my life. And I’ve visited just about every other of the 32 states and the awful D.F. Thus w3hat may be the only possible good thing to be associated witrh those nasty naysayers who find SMA “too touristy” is that hopefully they have, or are going to decide to deliver their disgusting selves to Guanajuato, Ajijic or elsewhere to rail against the Mexicans unfortunate enough to cross their pitiful paths. For me, thank God that none of them are my neighbors. Viva San Miguel!